Last week, an impromptu birthday barbecue for a close friend left me scrambling for a suitable cake that I could make and ice in less than 4 hours. I thought about it, realized it wasn’t going to happen, and decided on a less festive, but equally delicious tart instead. Since I was in the middle of making graham crackers at the time, I decided to do a graham cracker crust, literally. 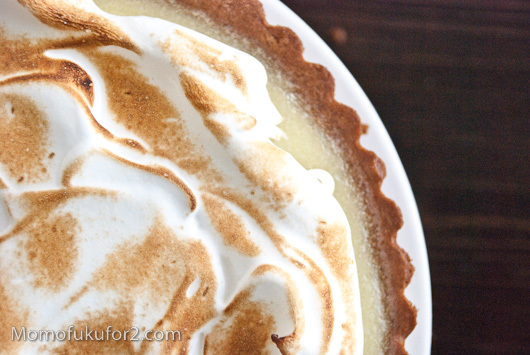 I rolled out the graham cracker dough and par-baked it before filling it with David Lebovitz’s lime meringue tart filling. The result was pleasantly tart and sweet and the graham cracker crust held up surprisingly well. I have mild obsession with limes, especially key limes, so I thought that the curd would have been better with a touch more lime, but the lack of lime-ness was probably my fault because I forgot to add the lime zest. 1. In a medium-sized saucepan, warm the butter, lime juice, sugar, zest, and salt. 2. 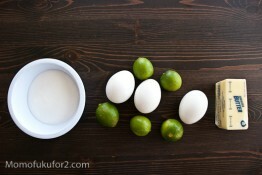 In a separate bowl, whisk together the eggs and the yolks. 3. When the butter has melted and the mixture is warm, gradually pour some of the warm lime juice mixture into the eggs, whisking constantly. Scrape the warmed eggs back into the saucepan and cook the mixture over low heat. 4. Stir the mixture constantly over low heat, using the whisk, until the filling thickens and begins to resemble soft jelly. Do not let it boil. 5. 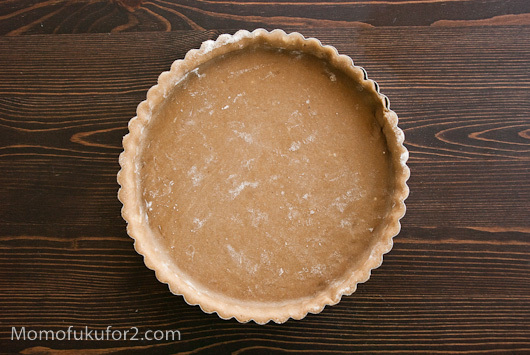 Remove from heat and scrape the filling into the pre-baked tart shell. 7. To make the meringue whip the whites on high speed to soft peaks. 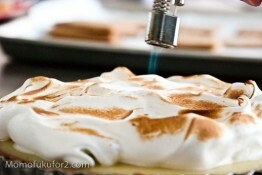 Gradually add the sugar and the salt, while whipping on high speed, until the meringue is shiny and stiff. Beat in the vanilla, then pipe or spread over the tart. 8. 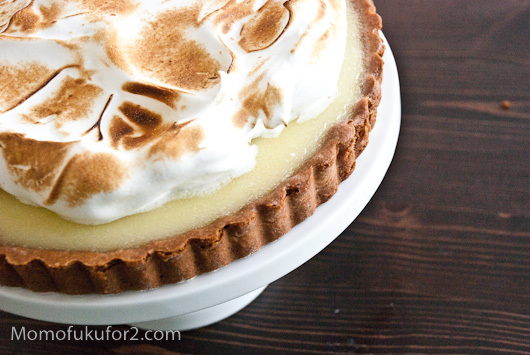 Using a kitchen torch, brown the meringue or pop the tart under the broiler keeping a close eye on it. Every time I see one of your posts in my reader feed I save another recipe to my “things to make” file. You’re going to keep me well fed for many a meal! This is a great blog, keep up the great work! 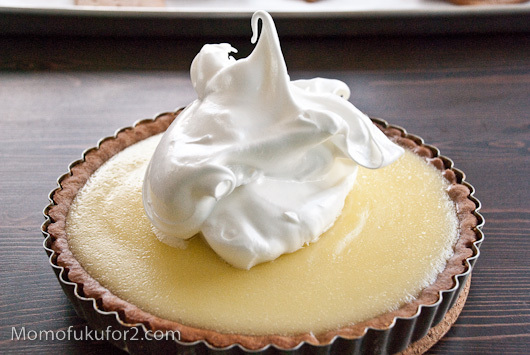 I can’t tell you how many times a tart has saved me in a pinch! I’m a shortbread crust kind of spoon, but the Graham cookie looks terrific!! I hope you’ll make something with local strawberries soon! Now I try to keep my mouth shut. I admit, an impromptu celebration would have me going to a bakery. I do love citrus deserts though. The fresh acidity along with the beautiful smell. 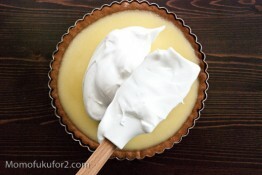 Lovely, it’s been ages since I made a key lime pie, now I want one with a meringue top too. I’ve been thinking about making some kind of lime tart, but I was playing with the idea of incorporating coconut (partially because I haven’t been able to get the song out of my head). Any ideas? a coconut meringue? toasted coconut flakes on top? I love toasted coconut flakes and I think they’d be a great textural contrast on top! 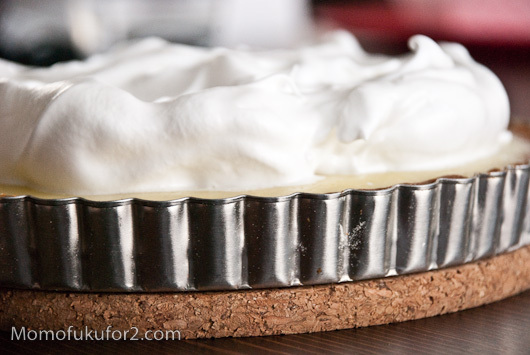 what is your recipe for the graham cracker crust? it looks so much yummier than mine.